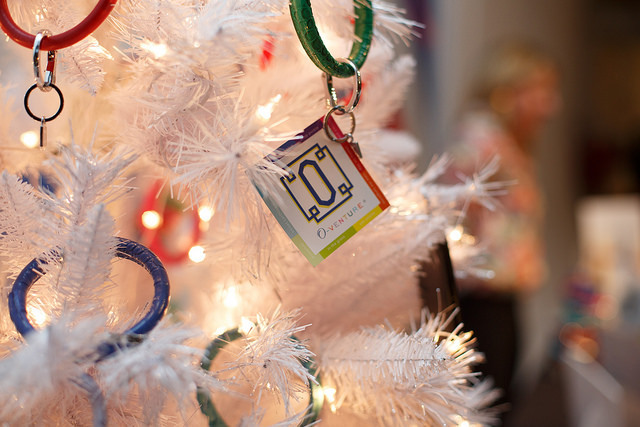 Every year around this time I am lucky enough to be on the guest list of the MomTrends Holiday Soiree. Bloggers and brands across the NY & NJ come together to eat drink and meet new brands. This year was no exception. I met some amazing women who have turned an idea into a passion driven brand and below are some of my favorites. 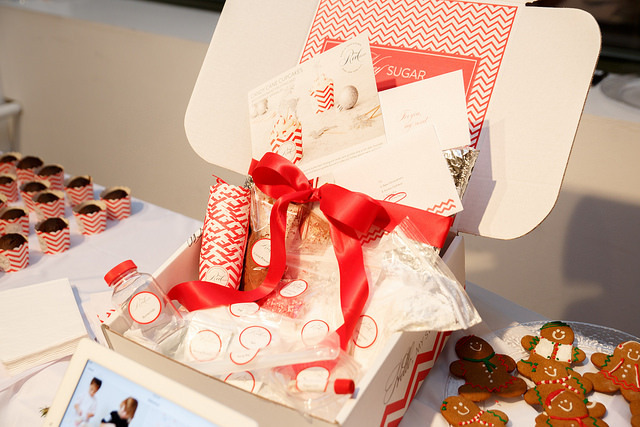 A beautiful box full of only the highest quality ingredients, pre-measured with everything you need, including decorations, to bake a spectacular dessert. On the website, you can choose from an assortment of extraordinary desserts like the CHOCOLATE PEPPERMINT YULE LOG to the GREEN TEA MATCHA CUPCAKES WITH GOLD SPRINKLES for YOUR next soiree. There is even a subscribe based membership to receive this amazing boxes monthly. I love that its DIY and honestly it has some of the prettiest packagings. Plus enter BLUEBARNKITCHEN for a coupon at check out. 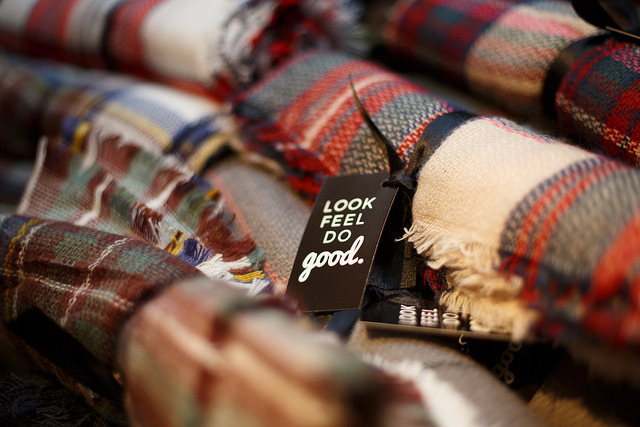 Before your bellies are filled with the Red Velvet Desserts goodness, you need something to wear and keep you warm. I was gifted this super soft and mushy scarf from My Cents of Style. A business run by mostly women and a majority who are mothers. Working in their offices or remotely that curate a website of clothing and accessories that you will adore. The site has everything you need to create your winter wardrobe and with their daily deals and Friday Fashion, there is something for everyone – Check it out here – My Cents of Style. At all the fabulous parties you will be attending… where do you leave your stuff? O-VENTURE had solved this problem. It’s just one of those things you didn’t know you needed until you tried it. Their moto is, “Carry Only What You Need.” That’s exactly what the O allows you to do. Carry your wristlet with the O, attach the clips right to your wristlet, slip it up your arm and you are ready to drink and eat hands-free. 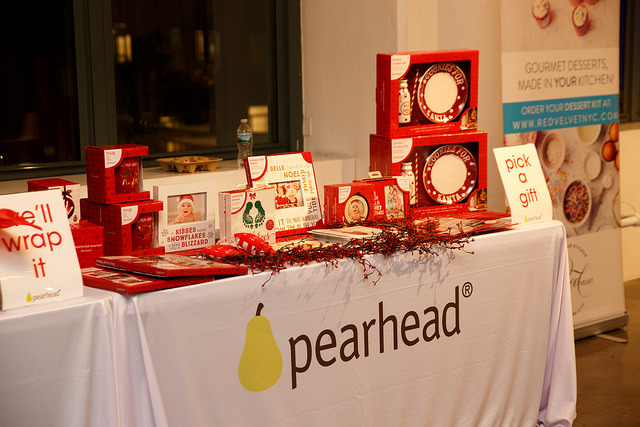 The last table I visited was Pearhead, they were generously gift wrapping their products for us. From baby picture frames to wedding gifts, there was something for everyone. BUT the only product that caught my eye was the “holiday mug”. A deep mug with a nice large handle, I could just imagine my morning hot lemon water lasting me all day in this thing of beauty. I have used it and I was right, I just ordered more for my friends and family. Get yours today here – I want a mug too! Before I left to go home, I was surprised that there was even more “presents” from Momtrends. Sherri & Nicole are always so generous and this time was no exception. Please visit all the brands at their websites listed below.